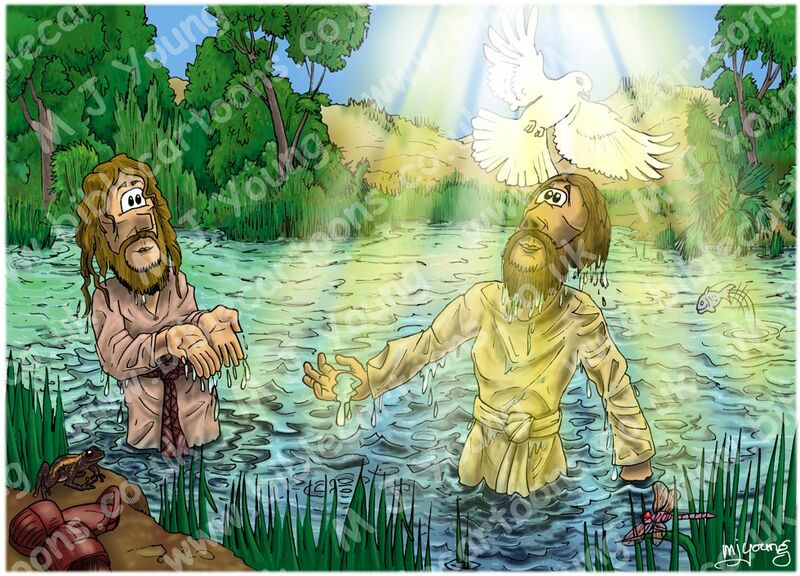 After his baptism, as Jesus came up out of the water, the heavens were opened  and he saw the Spirit of God descending like a dove and settling on him. Some manuscripts read, opened to him. This scene is set in the late morning. There is general sunlight illuminating the scene, with the additional “heavenly glow” coming from above. 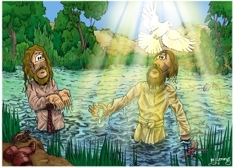 On the right is Jesus the Christ, on the left is John the Baptist. A dragonfly, frog & fish are also present in the scene. I’m pleased with the way the water came out in this scene.